First off, bad matcha is pretty cheap. Lupicia offers one kind of matcha from Shizuoka for $16/ 100g. That seems like a crazy good deal. So I bought it. And it was bad. How else can you tell? The color. 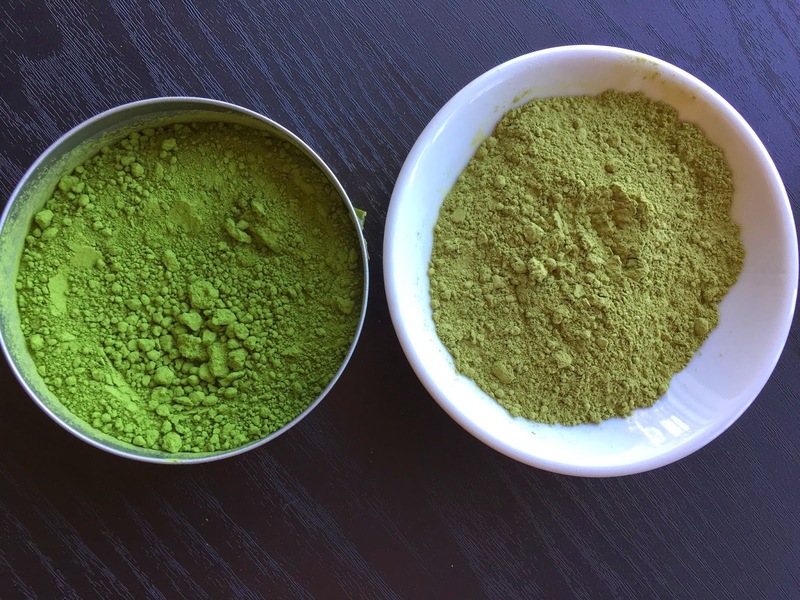 When I opened my 100 g matcha I noticed the color was more brown than bright green. That is a horrible sign. Brown matcha is bad matcha! 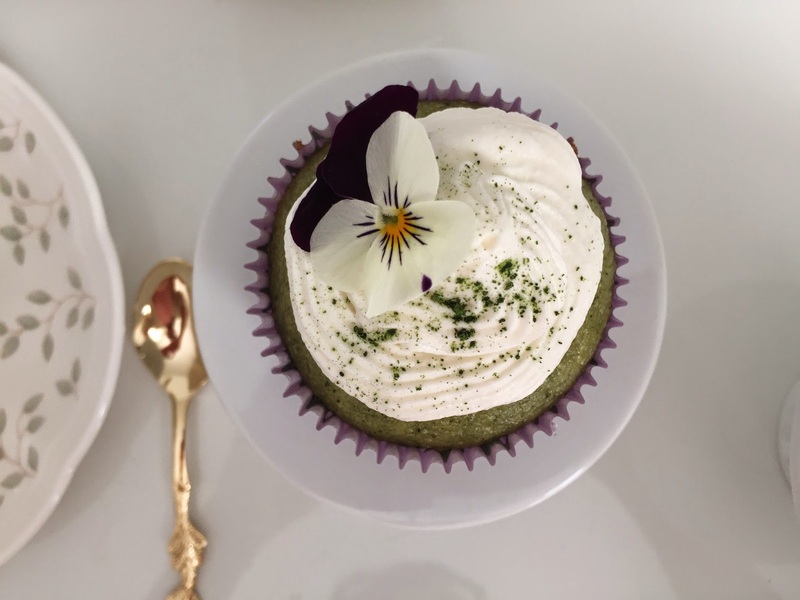 This matcha is only suitable for maybe adding a bit of color to baked goods. Don't drink it. You will come to hate matcha before realizing its awesomeness. So, I bought this other matcha from Lupicia; Ujitawara. 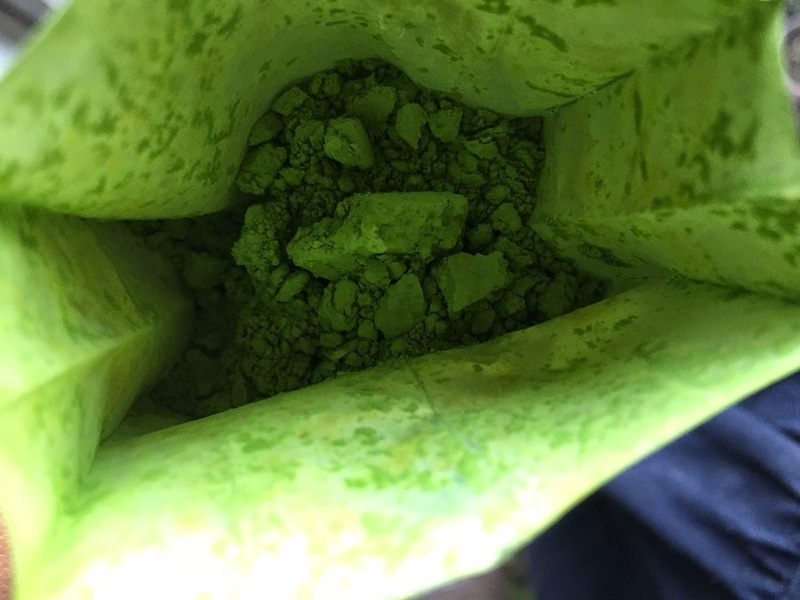 Lupicia describes this as an "Uji matcha produced by Yasayuki Asakura with the best matcha species." Uji is a matcha producing region, actually the best producing region. Its climate and soil are ideal for producing quality matcha (reference). 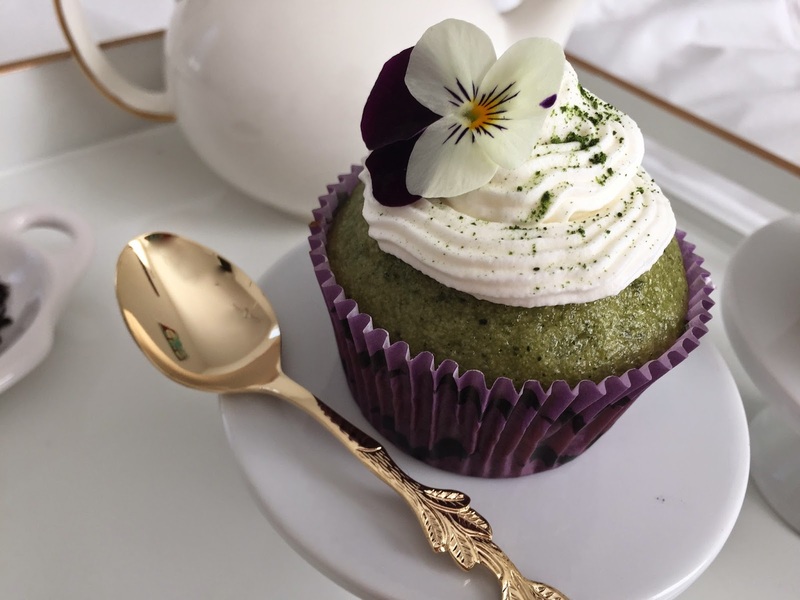 Matcha is shade grown green tea (the same as the one used for producing gyokuro), which slows down the growth process and causes an increase in chlorophyll production, resulting in darker green leaves. The best buds are harvested and either rolled (to make gyokuro) or laid out flat and dried to make tencha. Tencha is then finely milled to make matcha. 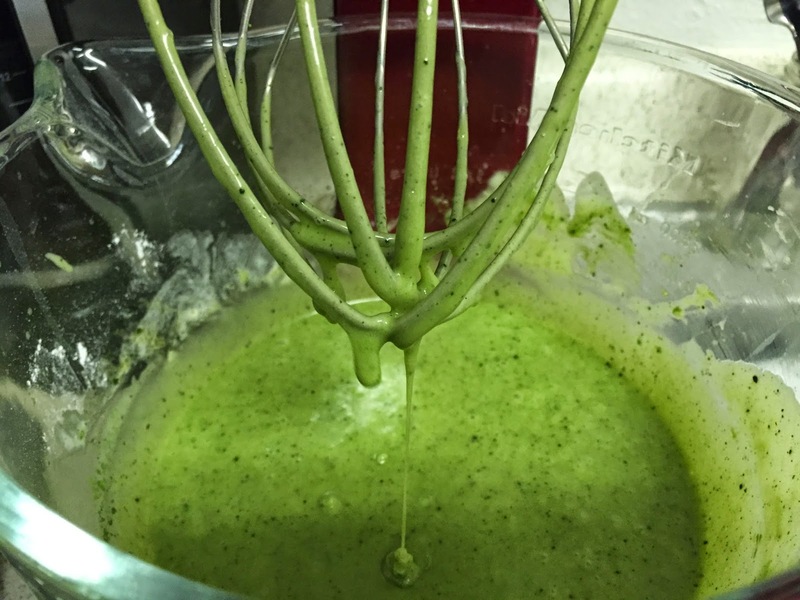 The process is time consuming so good quality matcha will naturally cost more. Inside the petite tin was a sealed foil bag containing all this awesome matcha goodness. When I opened it, I knew right away it was going to taste amazing. It has the freshest aroma, very vegetal but sweet. Some of the powder fell on my finger tips and I licked it, knowing it would be tasty. It was sweet, like blended butter lettuce or baby spring mix. 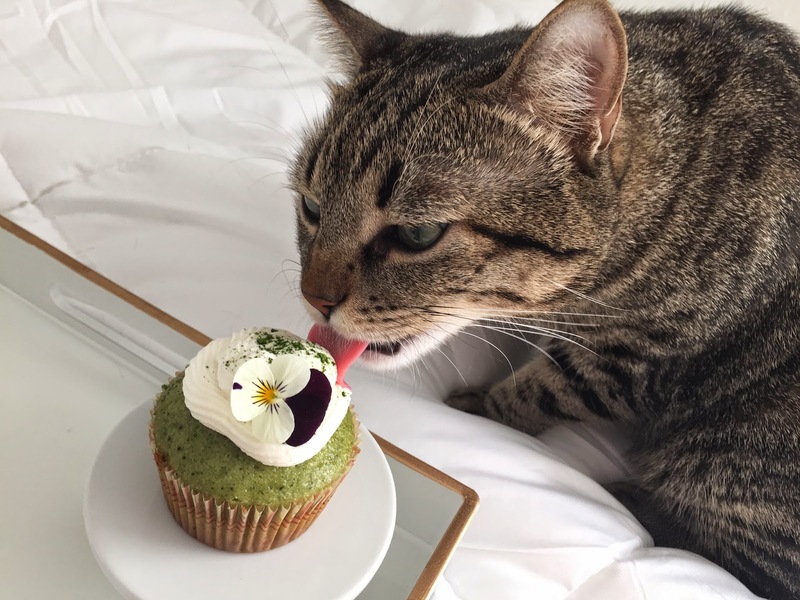 If good matcha is butter lettuce then bad matcha is kale (because it is so darn bitter). I could try to drink it all but the process of making it is so time consuming. So, before it went bad, I decided to make cupcakes. Ideally you want to use good matcha but lower quality matcha will be ok too. 2. Sift and whisk the first 4 ingredients in a large bowl (cake flour, sugar, baking powder, salt. 4. Add dry ingredients and fold in (to avoid flour flying everywhere when you start the mixer). 6. Add vanilla (or almond) extract and eggs and matcha. 7. Beat for 2 minutes. 8. Pour mixture into lined baking pan. Fill each cup about 3/4 of the way. 9. Bake for ~15 minutes (rotate pan halfway through). 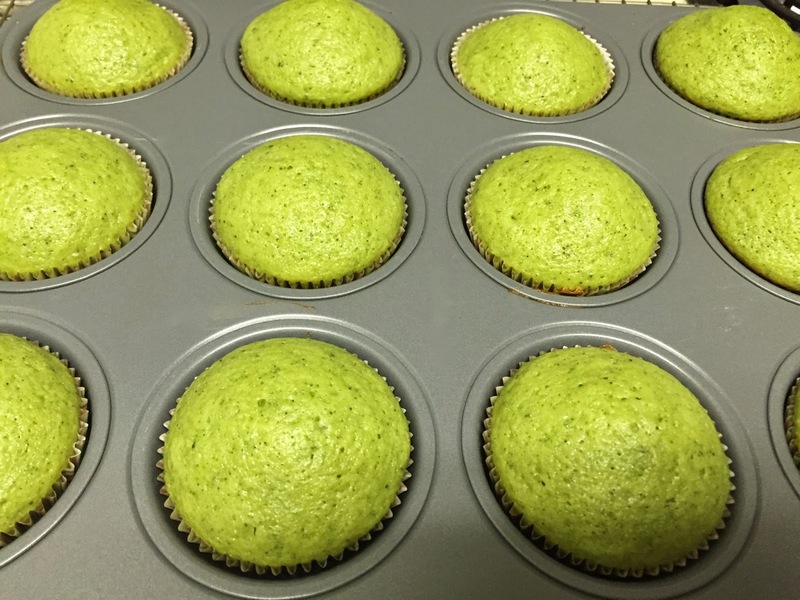 The green flecks are matcha flakes that did not get incorporated evenly. I like them because they are like matcha sprinkles. 10. While it is baking, make chantilly cream. To do this, put all ingredients in stand mixer bowl and beat until peaks form. Refrigerate until ready to use. 11. When cupcakes are done baking, add cream to a pipping bag and pipe a mini mountain of chantilly. 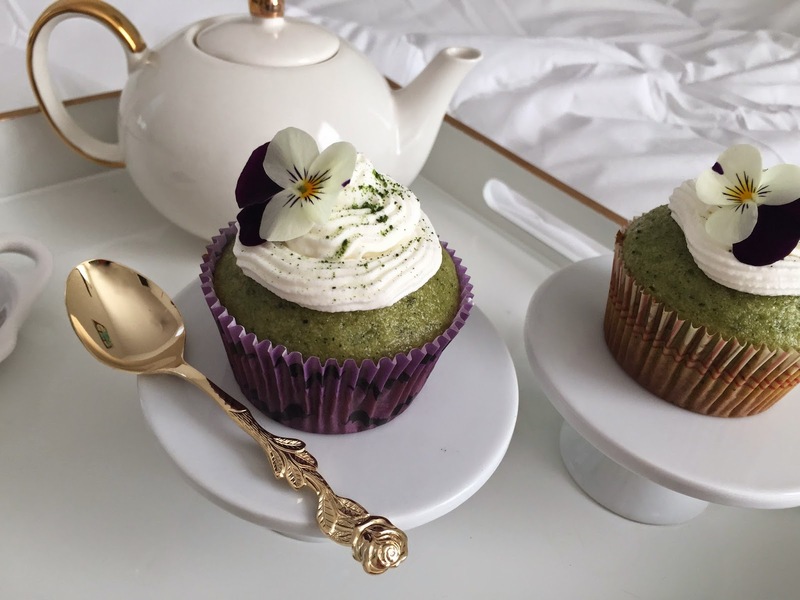 Dust off with a pinch of matcha powder to make it fancy. Add an edible flower to make it super fancy.